← Congrats to Cannes Lions Creative Marketer of the Year – McDonald’s! Cannes 2014. That’s a wrap! 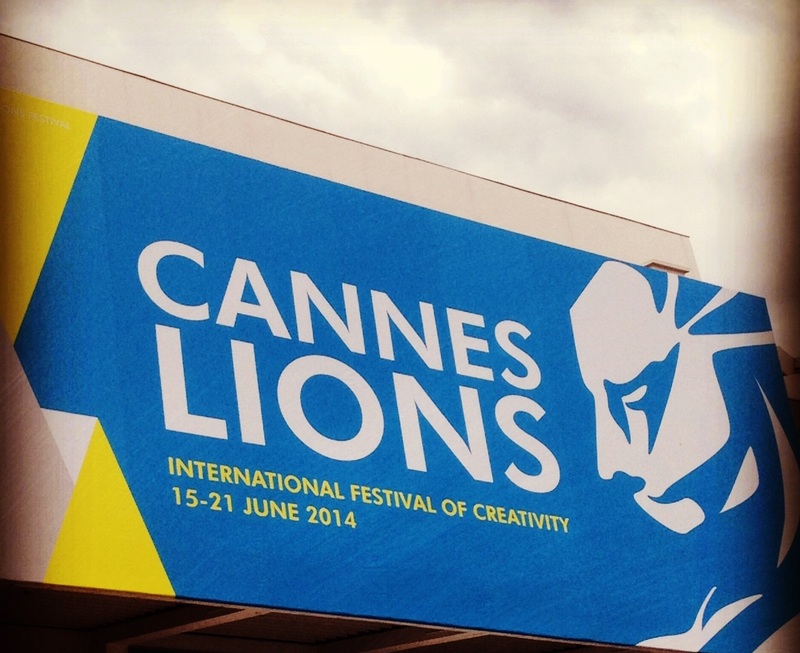 The 61st Cannes Lions International Festival of Creativity is done and dusted. It was a huge week for our team on the ground taking a huge number of meetings with clients, friends of the agency and potential new partners, zipping up and down the Croisette more times than we can count, tweeting up a storm, taking in the brilliant creative and on-stage content, clinking glasses of rosé, and helping support the wonderful team at McDonald’s for their Cannes Creative Marketer of the Year accolade. The 60th anniversary of the Cannes Lions Festival last year put the advertising industry’s “All Stars” in the spotlight and this year the balance seemed to swing a little bit back towards the indie shops and lesser-known creative folks. The DeBussy and Grand Audi saw Kanye West, Courtney Love, Bono, Jared Leto, Ralph Fiennes and other celebs graced the stage with some pretty interesting discussions. Bono’s speech accepting the first-ever Cannes Lionheart humanitarian award for his work with (Red) at the final awards gala was particularly empowering, not to mention humorous as he drew chuckles from the crowd upon introducing himself as “Bono, the CMO of YouTube.” After a powerful preamble from Apple’s SVP of Design, Jonathan Ive,Bono told the crowd it was their brainy heads that were going to figure things out (in reference to a world epidemic of AIDS) and if they kept making the ads, he’d keep making the jingles. This year also saw an outpouring of tech industry “celebs” taking the stage — from Sheryl Sandberg to Marissa Mayer — who found clever ways to speak to an audience full of advertising buyers and creatives without overtly making a sales pitch. Sandberg emphasized the proliferation of mobile, and also wove in her “Lean In” platform, calling for the ad industry to lead the charge in shifting the ratios of females in leadership positions, as well as to embrace diversity in the advertising and marketing campaigns they are creating for clients. Mayer emphasized the creative side of the business, pointing to Tumblr as a perfect platform to create inspiring work. It’s wonderful to see powerful female leaders represent their brands at our industry’s biggest and most important conference. In some cases, the most awarded work of 2014 was all about doing good and making brands matter, in other cases it was about celebrating the sheer pleasure of consumerism. The mix of styles spoke to the heart of good marketing and what it can achieve when done in the right way. In the first instance, there was CAA’s YouTube film for Chipotle, The Scarecrow, which took a Grand Prix in both PR and Cyber, along with multiple golds in PR, Cyber and Branded Content. The film that sits behind an app launch and website was a bold move for the QSR, through the flawless direction of Tim Burton and the haunting sounds of Fiona Apple. Taking on “big food,” and the evils of mass food production, the film went beyond a strong piece of content, as the soundtrack was available for download on iTunes, with 60 cents per download benefiting the Chipotle Cultivate Foundation. Since launch it has racked up nearly 13 million views on YouTube. The most awarded campaign of the week was created by adam&eveDDB for the luxury department store chain, Harvey Nichols. An integrated holiday campaign dubbed “Sorry I Spent It On Myself, the hysterical work invited seasonal shoppers to gift “cheapskate” gifts like paper clips and toothpicks — branded with Harvey Nichols and actually sold in stores — so they could instead give themselves larger indulgences like designer dresses and handbags. A hashtag #SpentItOnMyself helped garner additional attention via social media. Every year, the attendance diversifies and while the big tech companies have been at Cannes for years, we saw even bigger programs, activations and events on the Croisette and beyond from the likes of Microsoft, Facebook and others. We were constantly bumping in to tech players from start-up ad-tech to established Silicon Valley players: Lithium, PubMatic and Klout, to name a few. From “La Galerie D’Instagram” where attendees could peruse real-life works of art straight from Instagram, as well as be photographed by a professional photographer on a staged set, to Microsoft’s swanky Beach Club, to Yahoo’s free pedi-cabs helping deliver delegates from the Palais to The Martinez and back again, there were many creative executions designed to add value to the overall Cannes experience. Marketers, for their part, showed up more prominently than ever. McDonald’s, Cannes’ Creative Marketer of the Year, brought a crew of at least 20 delegates, curated a high-level panel featuring the top execs at each of their creative and media agencies, and made a big splash in the Young Lions Zone in the Palais with their McCafe space, where delegates could grab complimentary coffee, iced tea and macaroons throughout the week. The Festival has oodles of programming and there simply aren’t enough hours in the day to experience it all. Other marquee events have found success spinning off some of the content, similar to what TED has done with TEDx to make room for both excellent programming and invaluable networking. Another option could be to extend the conference portion to allow breathing space, or better segment the content so you can dip into the areas that are of most interest to you. On a more logistical level, we’d love to see more cell towers, 4G/improved internet connectivity and bandwidth, charging stations and water vending machines (there’s NEVER enough water!). Au revoir ‘til next year! Posted on June 27, 2014, in Cannes, The Hit Board and tagged Cannes Lions, Cannes Lions International Festival of Creativity. Bookmark the permalink. Leave a comment.